In less than ten minutes you can have a Lambda-powered API that is integrated with both API Gateway and Application Load Balancer. How? 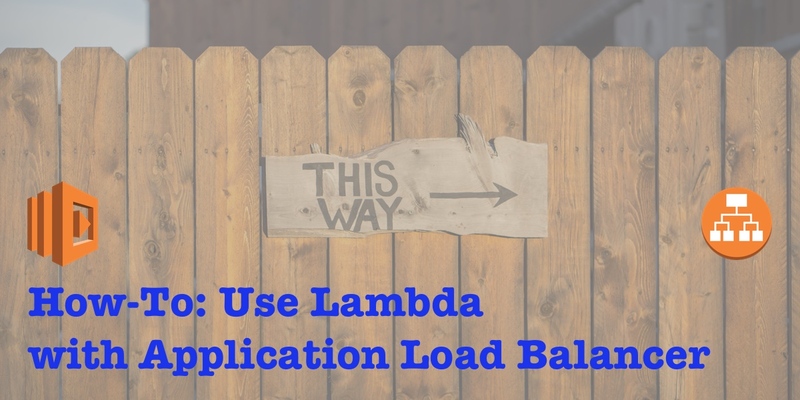 I will walk you through deploying a set of example services that I built that demonstrate using Application Load Balancer with your Lambda functions. We’ll first create an API with API Gateway, and then create an application load balancer with all of its pre-requisites (a VPC, etc), enabling you to call the same function using either the API Gateway endpoint or the application load balancer.